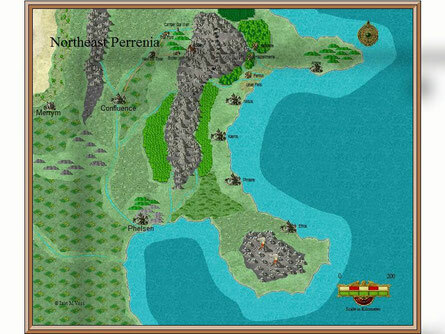 Welcome to Perrenia, the world of Temerity Justice. 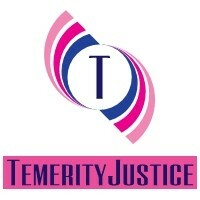 This site features the latest adventures of Temerity Justice, as she journeys through the world beyond the abbey where she was brought up. Temerity is a young woman from the Tannehelm Mountains who seeks adventure and excitement with only a lever action rifle and her horse as constant companions. I've decided to take some time off from writing Temerity Justice at the moment. Partly this is because I think it was starting to get repetitious, partly it's also that I'm struggling to make the time to write. Hopefully this will change when inspiration (and effort) strike. Phases One and Two are currently available on Kindle, I'll add others when they are ready. As mentioned above, I'm taking a break from writing episodes for now. Bonus Temerity! I have finally got around to writing the back story to how Gerry came to be convicted of the murder of his wife. I've called it a Bonus Temerity, but it's a Bonus Dandy Crew really. I will be working on a story linked to this, which will feature Raven Ice telling Gerry about her life with her sister Violet (now Lady Iishaka), and how they both came to join the Chancel. This is where I'll update readers on what I am currently working on. Not wanting to sound like a broken record (for those of you who remember such things) but I'm currently taking a break from writing Temerity Justice for the time being. The map is proving more tricky than I had hoped, but I am working on it at the moment. Hopefully it will be uploaded soon. Watch this space! I will also be adding articles which relate to the world of Perrenia, as and when I finalise them. At the moment (first phase), I only have a few areas detailed, such as the abbey where Temerity was raised, and the first country she explores. However, as other areas become more important to the text, I will add articles about them. As both have now appeared, I've just added a new section on Brass sentinels and Meat Puppets. It gives a bit more detail on the two types of technology, one Developed in Salmedina, the other in Farsland. A new section on the Chancel of Mon has been added. It was a bit of a hard one to write, as I don't want to give too much away from what is to come! I've recently added a short piece discussing the technology levels of different areas of Perrenia in here. .The outline of the Tannehelm Mountains can still be found here also.